St John’s first year student, Roy Romeo, has recently returned from Italy where he competed in a prestigious soccer competition, the Viareggio Cup. The Viareggio Cup is an annual youth soccer tournament held in March, where only a select few international groups are chosen to participate. Roy and his team, the A.P.I.A Leichhardt Tigers, played against the nation’s best, two Serie A youth teams, Cagliari and Inter Milan, as well as Braga from the Primeira Liga. They played an incredibly notable performance against Inter Milan, losing 2-1 in a close match against the former tournament champions who are home to nine international players. Roy and his teammates also won many trial matches against local Italian clubs, demonstrating an extraordinary calibre of performance from the team. Although talented sportspeople are not a novelty at John’s, there is something striking about Roy’s dedication and passion for his sport. 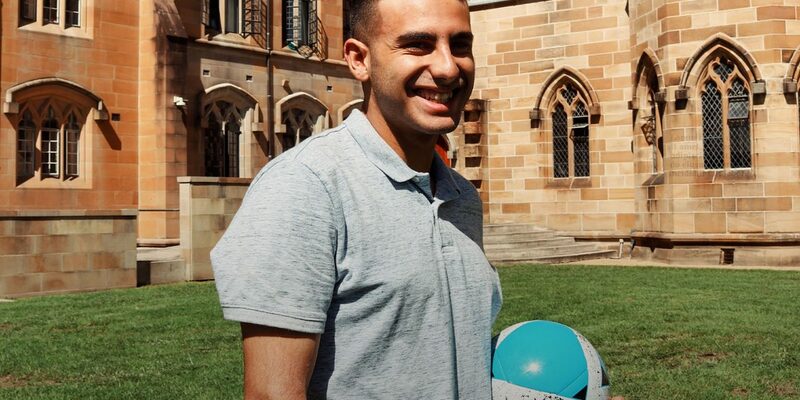 Amongst the everyday busyness of university life, it is increasingly difficult to commit, let alone gracefully navigate the demands of participating in an overseas soccer tournament. His sporting talent has been 13 years in the making. “It’s all I’ve ever known, really. You feel a difference in your mind and your body when you’re not training.” Immersed in the game since he was six, Roy speaks of soccer almost as if him and his sport are intertwined – it is refreshing to hear a young sportsman hold such genuine reverence for everything that his game encapsulates. Written by Angela Cheng – St John’s College student.